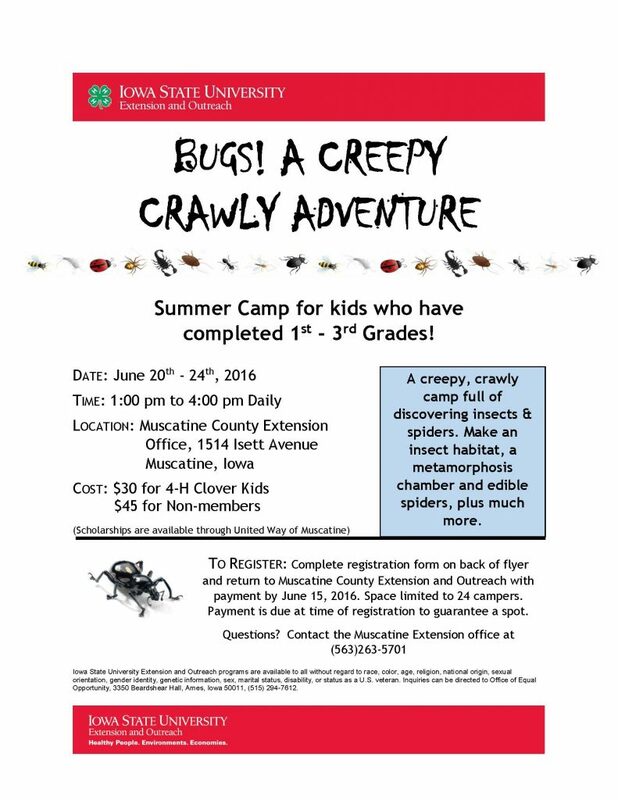 There is still time to sign up your outgoing 1st through 3rd graders for a creepy, crawly camp full of discovering insects & spiders. They will make an insect habitat, a metamorphosis chamber and edible spiders, plus much more. Camp will be June 20-24, 1-4 pm at the ISU Extension and Outreach office, 1514 Isett Avenue.